Trouble Getting Approved in Oregon? Summary of Oregon Usury Law(s) / Quote: "Legal: 9% / Contract: The rate of interest shall be as agreed between the parties, except (a) on loans under $50,000 the rate shall not exceed greater of 12% or 5% in excess of discount rate on 90-day commercial paper at the Federal Reserve Bank and (b) if parties have not otherwise agreed, rate in the following transactions is 9%: (i) all moneys after they become due (open accounts bear interest from date of last item), (ii) money received to use of another and retained beyond reasonable time without consent and (iii) money due when there is a contract to pay interest and no rate is specified. / Judgment: 9% / Corporate: No specific rate"
Legal Maximum Interest Rates: Quote: "Unless otherwise agreed, 9% (§82.010)"
Usury Penalties: Quote: "Forfeit interest on loan but borrower must repay the principal (§82.010)"
Judgment Interest Rates: Quote: "9% unless contract, then contract rate (§82.010)"
Legal Exceptions: Quote: "Business or agricultural loan; loan under $50,000 (§82.010); financial institution or trust company as defined under §706.008, consumer finance license defined under Ch. 725, pawnbroker licensed under Ch. 726, lender approved under the National Housing Act, loans secured with real property, loan secured through U.S. government, securities or commercial paper, broker-dealers registered under the Securities Exchange Act of 1934 (§82.025)"
Barrie needed an $80,000 to consolidate several loans, his mortgage and credit cards. He found himself in a situation earlier this year without a job, legal fees related to a DUI and credit card bills that he could not repay due to his loss of income. He has since found a job but is way behind on his payments for both his mortgage, credit card bills and car loan. Right now he wants to consolidate everything with a low interest loan or mortgage and pay one monthly payment. When he lost his job, Barrie thought it would be easy to find another job that paid as well as the one he had. Unfortunately, it took him longer than he expected to find a job and he is not making as much as he did previously. The salary is still a good one, he just needs to adapt to a lower income than what he was used to. He feels that by consolidating his small remaining mortgage, his credit cards and his car loan into one low interest payment, he will be able to meet all of his obligations and save money at the same time. Barrie has made a lot of progress over the past six months. After a difficult year when he lost his job, was charged with a DUI offense and incurred more debt than he should have on his credit cards, he is turning his life around. He was approved for the loan and promptly paid off his credit card balances, his legal bills, car loan and the remaining balance on his mortgage. He now has one mortgage payment of only $467 a month to pay which is substantially less that what he was paying separately. The future is looking bright for Barrie and he is actually getting into much better financial shape than he was previously. He is setting some funds aside for emergencies as well which will help him immensely if there are any financial surprises for him in the future. He is also controlling how much he spends on credit cards and repaying the statement balance in full each month. All of these steps will help to maintain his credit rating as well should he ever need to borrow money in the future. If you live in the State of Oregon and you're struggling to get a loan approval with a bad credit rating we hope our website helps you in some way. Last 5 debt service loans approved in the State of Oregon. Source: WFL Lender Pool. Updated Weekly. Principals rounded to the nearest $1000. Relative interest rates listed below in order left to right. 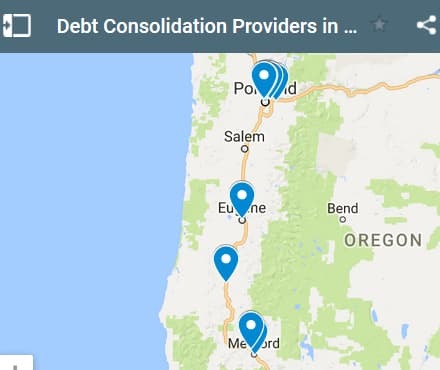 Oregon consumers with credit ratings good enough for traditional financial institutions shouldn't have a problem getting approved as long as their DTI (debt to income ratio) is reasonable, and they're a prime candidate for a debt consolidation loan. However, if your FICO score is really low you will have to find lenders that can approve loans to people with bad credit. 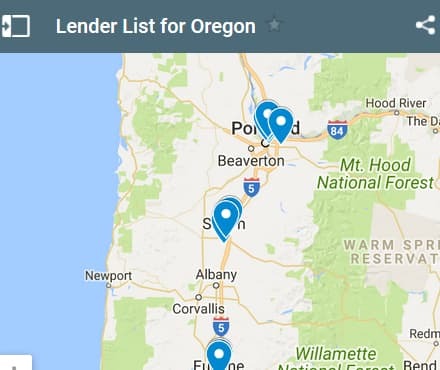 You can find local bad credit lenders that serve people in Oregon, or you can find lenders nationally. To do both you can use the application form directly above. Rob is a good son, one that many parents would be proud of and happy to have around. His parents both took sick at the same time and being an only child he had no choice but to quit his job and move home to take care of them until they could recuperate. They also do not have a lot of money and not much income so they really could not help him out financially. He borrowed money against his car, spent all of his savings and has several credit cards that carry a balance. He has started working again and is making enough money to live comfortably and pay his debts. He would like to consolidate all of his debts into one low interest loan and pay it off as quickly as possible. One upside of moving home to look after his parents is that he does not have any living expenses other than his clothes and entertainment. He lives at home for free and in return he looks after the house and his parents. Now that they are doing better he has a lot more freedom and he wants to use this time to get control of his finances, pay off his debts and save something for the next emergency. He would like to borrow $7500 and pay it off over a five year period. He has indicated that he wants to repay the loan more quickly however this low monthly payment will give him lots of flexibility should he need it in the future. We should all be so lucky to have someone able and willing to look after us when we need help. Rob is doing the right thing for his parents. Although he paid a price initially, no work and in debt, he is now recovering from this setback. He has a good job that pays well and his parents are doing much better. He still lives at home and is using this time to get his financial affairs in order. He has a good credit rating and should have no problem being approved for the loan he is applying for. Rob learned another lesson while he was unemployed which he plans to put to use in the future. The fact is that he did not really plan for retirement and he did not save nearly enough. He loved to spend money on fancy coffees, drinks at the bar and he ate out most nights. This consumed a great deal of his income and while it was fun, there was little money left for essentials and savings plan. With the recent experience of helping his parents, seeing how they have to live because they did not plan for retirement either, he now is going to change his spending habits. In fact he has already cut back on eating out as much and buying fancy expensive coffees, etc. He is amazed at how much extra money he has available. From now on it is only on special occasions and once a week eating out that he will treat himself. 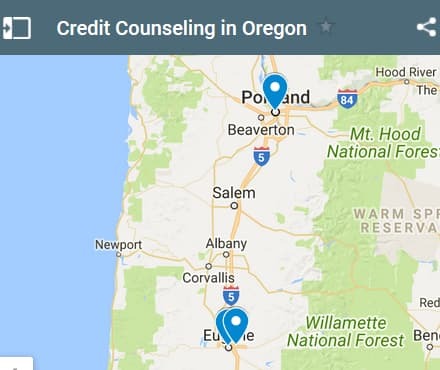 If you live in the State of Oregon and you're trying to get approved for a debt consolidation loan, we hope our website helps you find a good lender regardless of your credit rating.